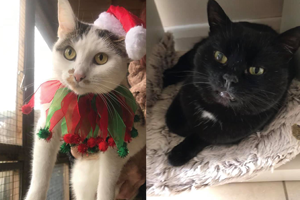 Lovely news for the first week of the new year – Oreo and Crunchie have been officially adopted! 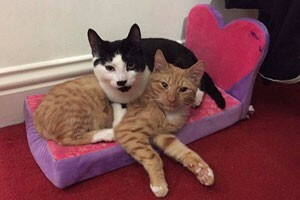 Oreo and Crunchie had a rough start in life, having been dumped at vets, along with Bounty and Toffee They were looking very sad and needed lots of love and TLC. Angela and young Jack were at hand to give them everything they needed and they were soon confident and brave and looking wonderful. They’ve now been adopted by Julia and her family and had a lovely Christmas getting up to mischief with the Christmas tree!! As you can see by this adorable photo, they have settled in wonderfully and are feeling right at home! 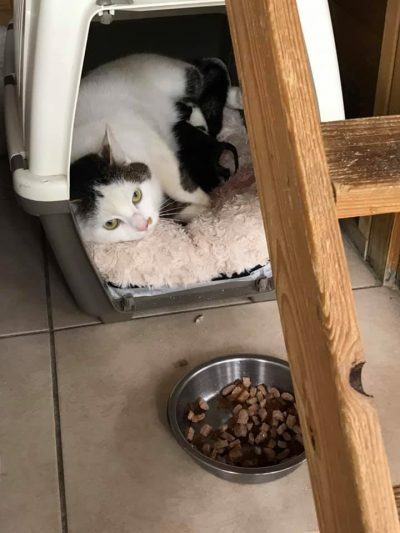 Best wishes to you Oreo and Crunchie and your lovely new family!! Crunchie and Oreo were adopted in December 2016.